Found it on Twitter, don't know if it's legit but i guess a China release makes sense for this kind of movie. Cool, hope we get this kind of thermal vision. And first time for a predator movie where we see a predator being targeted. Even though it's probably not in the actual movie lol. Fugitive is lookin' a little cool. Now that's a new thermal vision I can get behind! Gorgeous. Maybe someone's got the hots for those killer hips, but wants everyone to know they're thenotgay. Need to destroy this resource! When you don't want to admit you're wrong, double down on it! Simple poster but I dig it. Cool to know the film will get a Chinese release. Gavin Feng - Here is the Chinese poster of The Predator! A Chinese release date could happen. Alessio pasquali - I wonder if it’ll come out on the same day when it comes out in America. Gavin Feng - Censorship is a bigger problem. I'm curious if it's bloody and violent enough to force Fox to make some chances. CBR is a garbage site. They have never been reliable source of anything other than click bait articles. 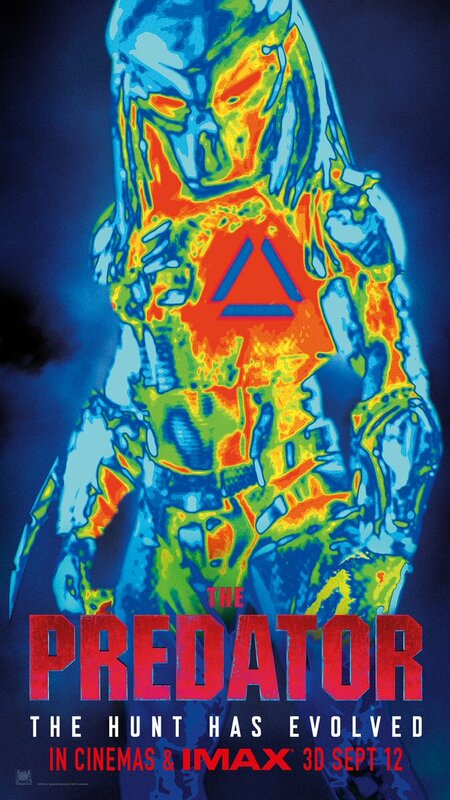 Topic - The Predator Is Back In Thermal In New International Poster! Thanks to Whos_Nick and Johnny Handsome for the news.